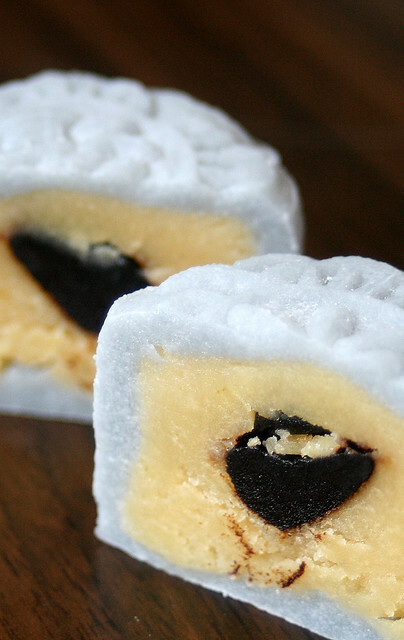 Jewels Artisan Chocolate has come up with some nice mini snow-skin mooncakes. When they told me about the one with Korean black garlic, I was intrigued. 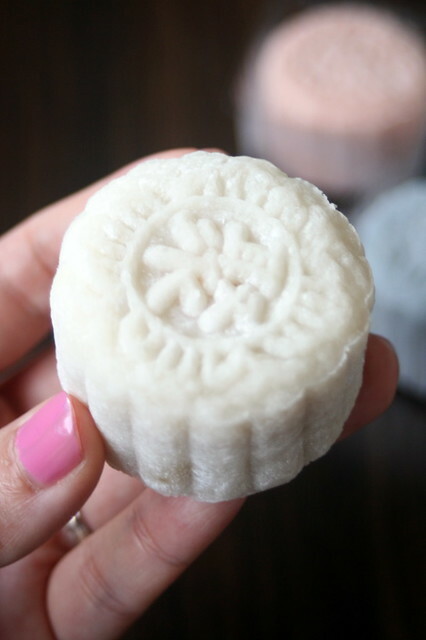 I pictured a morass of blackness within the mooncake, but fortunately, it's just one clove embedded in white lotus paste. 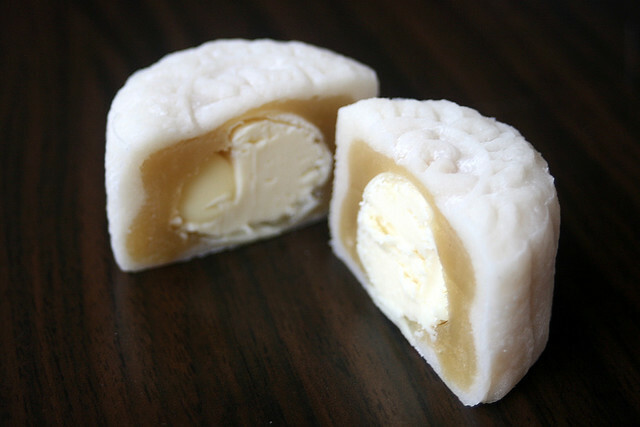 The garlic is mildly tangy and chewy - it definitely adds an unusual taste and texture to the mooncake - but isn't pungent. And it's got lots of antioxidants too. 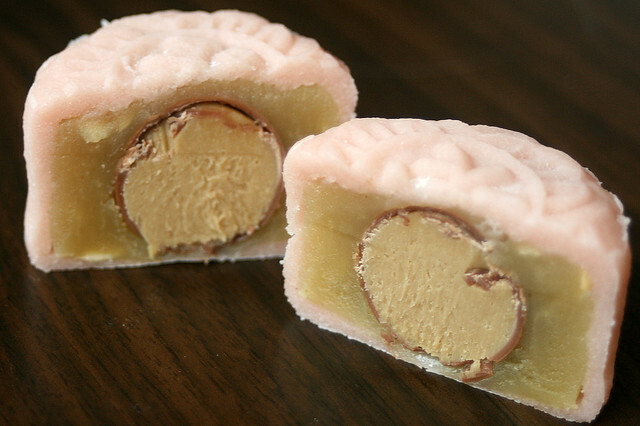 Mini Snow-skin Mooncake with Champagne Ganache Truffle. This one turned out to be my favourite. The truffle is pretty potent! And this mooncake is low sugar too. I thought the Mini Snow-skin Mooncake with Salted Caramel Truffle would be my favourite, but the other two outdid it easily. Maybe the truffle was too rich and creamy for me. But good if you like it that way. Cute mini mooncakes - that's one bite for me! Each of these are individually wrapped. I love how the chilled effect gives it a lightly frosty aura. And the packaging is a pretty little paper box. Nothing overwrought or bulky, so there's very little wastage. You know how mooncake boxes tend to be so environmentally unfriendly. Glad to see something simpler. 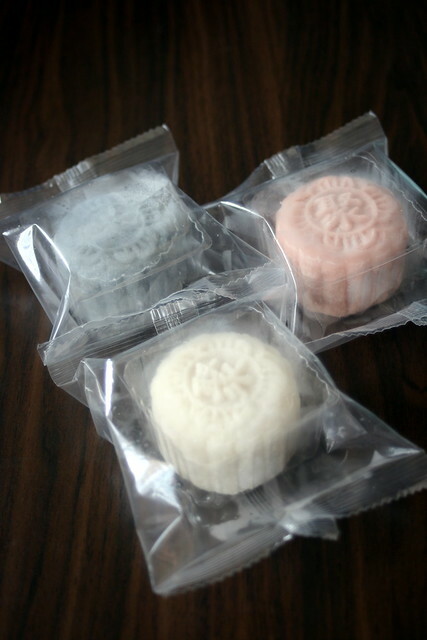 See their Facebook mooncake promotion here for more flavours and discounts. Thanks to Jewels for sending me the samples.